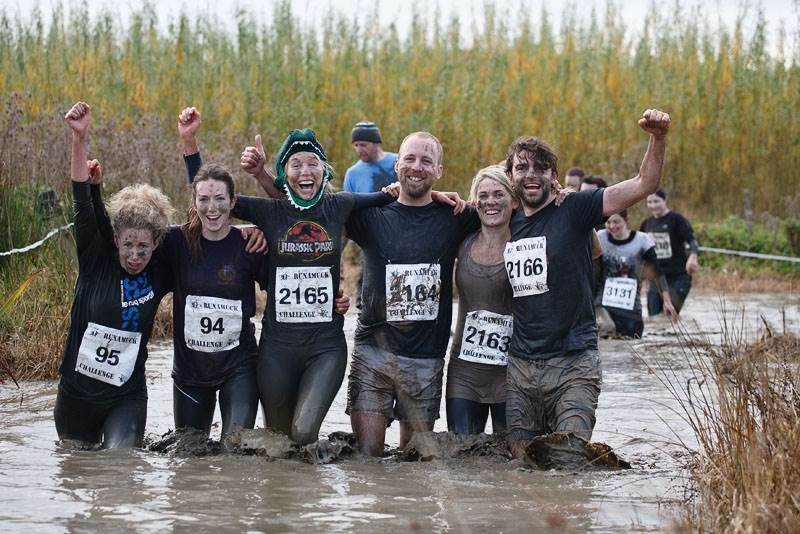 5 or 10km (depending how brave you are feeling) of Runamuck’s muddy obstacle course in County Kildare on Saturday 12 October. You’ll get wet, muddy, tired and have great fun! Even better than all that by taking part and fundraising for us you’ll enable us to expand our schools leadership programme – RISE – which equips teenagers to be sources of hope and practically bring positive change to their communities. You can read more about RISE here. Every €50 raised will enable one teenager to experience RISE, learning leadership skills and taking part in a project to make their local community a better place. All we ask is that you aim to raise €100. If you raise €150 or more we’ll refund your booking fee! We’ll provide you with a fundraising pack and we’ll replenish all that energy and celebrate with dinner afterwards (as long as you’ve taken a shower first!). There are group discounts so if you’d like to get involved contact us on ireland@innovista.org . If you don’t fancy the muck and would like a little more time to train we’ll also be entering a team in the 2013 Dublin Santa Dash on 8 December. Again contact us to get involved. How about a leisurely run along the beach in a Santa suit? ← Why is “I have a dream” such an enduring example of the power of vision?